Heavenly Greens installs artificial turf systems for individual homeowners, commercial properties, sports fields and government facilities in the northwestern part of California. Troy Scott, the VP of Heavenly greens, is an early adopter of HubSpot. He began using HubSpot in December 2011. With the HubSpot tools at his disposal, Troy began to put in place inbound marketing on his own. $2.1 million of additional revenue was the direct result of introducing a buyer's journey and lead nurturing campaigns during 2015. Before we break down how that MIND BLOWING result came about let’s back up a bit. 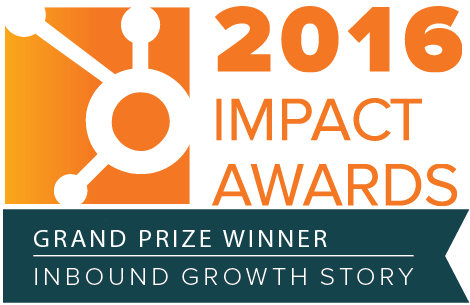 Heavenly Greens was already an inbound marketing success story before we came along. Troy knew what he was doing. He had created 21 free guides. Each guide gated with a landing page. He was seeing results that the inbound method promises. He took HubSpot's statistic that 78% of Internet users conduct product research online and blew the roof off of it. 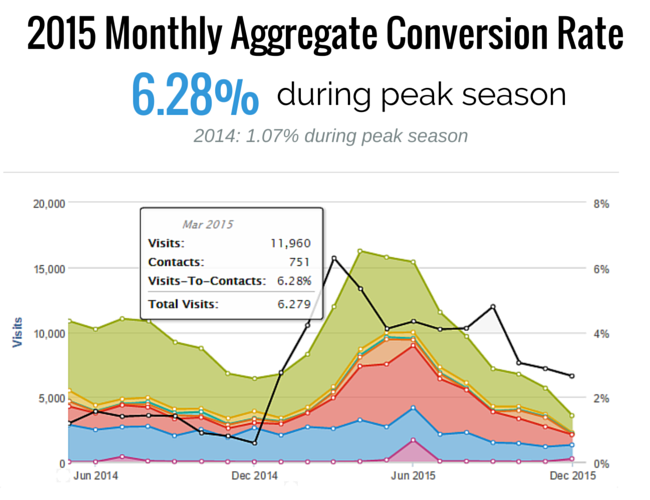 From 2013- 2014 he saw an 86% increase in contacts. Why did he need our agency? The answer is bandwidth. He could only do so much (unlike an octopus with 8 limbs. Hence his reference). It was time to hand off the marketing he was doing on HubSpot. The typical client we see is usually brand new to inbound marketing. We have to sell “why inbound, what is it”, begin from ground zero, create assets within HubSpot and watch the growth. And yes, there is always some growth when a client has done no internet marketing previously. Heavenly Greens was a completely different animal. At the start we already had 21 free guides at our disposal and a handful of blog articles and CTAs. Add more content? Create more landing pages? make new CTAs? No. We used data to help us decide what to do next. We took a step back and looked at the lead generating machine Troy had already created. We took a look at how visitors were behaving on the website and noticed something. Prospects were not looking for solutions based on the type of turf product, they were looking for solutions based on what type of project they wanted- a backyard, a playground, a putting green, a bocce ball court, a turf logo. There was a clear buyer's journey here. 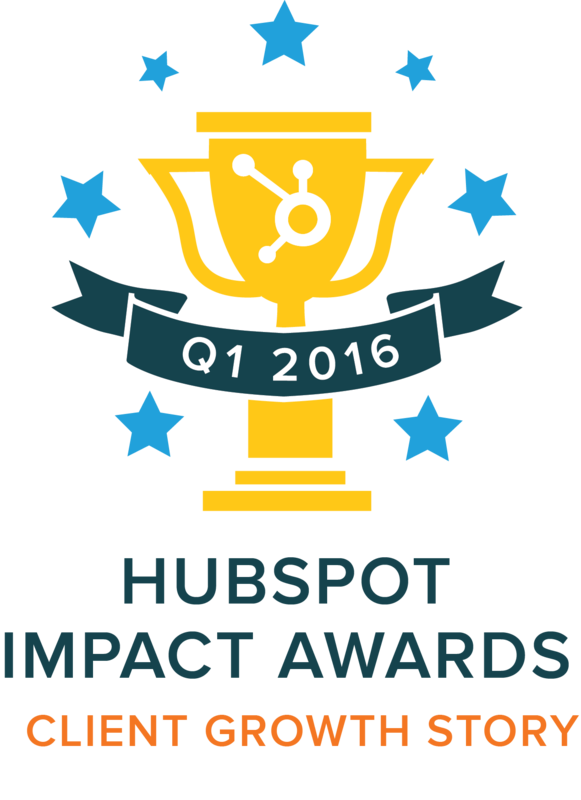 We moved the Heavenly Greens website off of Wordpress and onto the HubSpot COS. Now we could take full advantage of all the HubSpot tools. We developed the buyer's journey further and restructured the website around it. At each stage of the journey we made sure the appropriate free guides were there to meet the prospect. Once the website was restructured, we began building the marketing automation assets. We published 3 blog articles a week so we had fresh content to include in these emails. 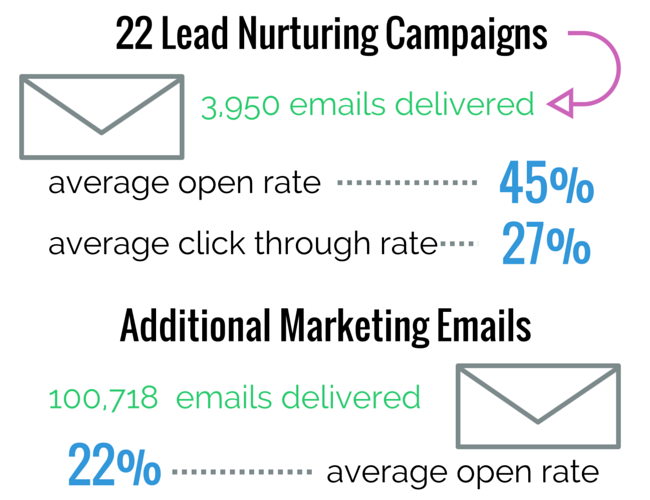 Each email spoke to where the prospect was in their buyer’s journey. We placed blog articles and downloadable content in front of them and led them to requesting a quote. The results from restructuring marketing around the buyer's journey exceeded our expectations. Customers that funneled in from email marketing and internet marketing grew by 98% in 2015. Email marketing revenue increased by 103% & internet marketing revenue grew by 44%. Implementing the buyer's journey and setting up marketing automation drove $2.1 million in additional revenue. We are ecstatic to see our client achieve these results. 2016 update: Beyond The Final Outcome- How Heavenly Greens Continues To Grow. The Northern California drought was at it's peak in 2015. This caused a spike of interest in artificial turf which led to an increase in website traffic for Heavenly Greens. Now it's 2016 and there has been a big improvement in drought conditions. Interest in artificial turf is no longer spiking so website traffic is back to what we saw in 2014. *Jan-Sept time frames chosen because 2016 has not ended at the time this blog was updated. The marketing automation & defined buyer's journey we put in place during 2015 proved to be resilient against this drop in traffic. Heavenly Greens has seen twice as many leads and sales during 2016 compared to their baseline data from 2014! Even though traffic was back to where it was in 2014 we were STILL able to achieve a 217% increase in customers and sales. 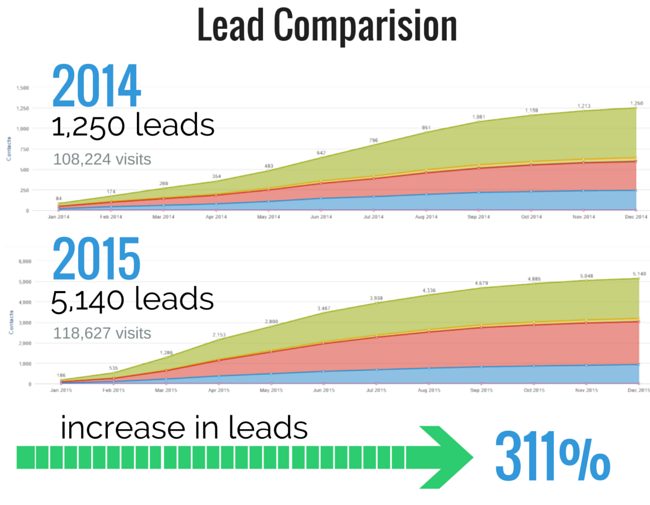 This was attributable to the doubling of visit to lead conversions and the doubling of sales qualified leads captured. With double the amount of leads coming in, one would expect the sales closing rates to dip a little. Instead we saw sales hold steady at 10.5%. This speaks to the high quality of leads generated by the new buyer's’ journey put in place during 2015. As marketers we didn't leave our strategy untouched during 2016. We continued to build on 2015's strategy and test new tactics. We honed in further on buyer activity and launched new web designs to support it. We also launched an advanced paid social media campaign that focuses on nurturing the different stages of the buyer's journey through targeted ads. As of today Heavenly Greens continues to invest heavily in inbound marketing and we are now moving into video campaigns. We are excited to see the future successes of our ongoing marketing with them! If you are interested in learning if HubSpot can achieve marketing success for you then check out our study that compares results of clients we worked with on HubSpot vs. off HubSpot.